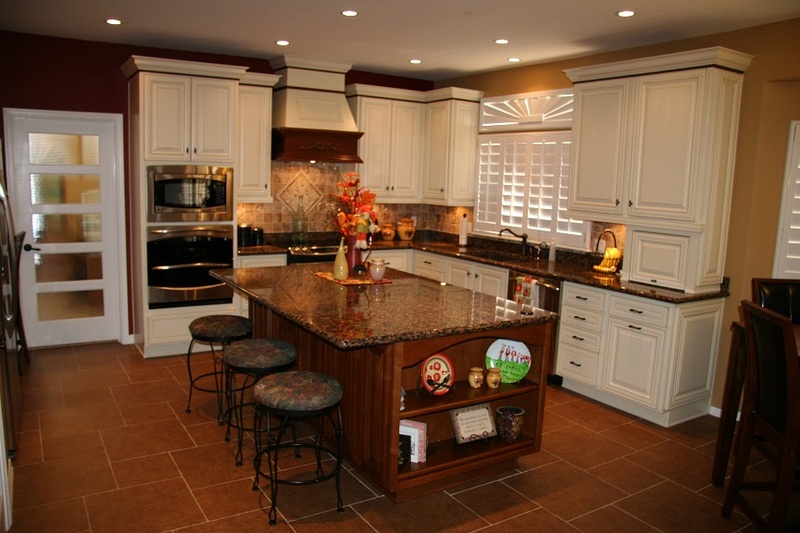 When it comes to kitchen design, islands add style, personality, function; and come in multiple configurations. Is the client’s kitchen big enough for a stand-alone island, or will it only accommodate a peninsula? Do they want it built-in, or mobile? So many choices can confuse homeowners making it crucial to ask them questions before anything goes on paper. The number one issue is function. Is the emphasis on food preparation, socialization, or a combination of the two? Will it house appliances? Sinks, under-counter refrigerators, and stove tops influence placement of other appliances to maximize activity flow and efficiency. If a sink is embedded in the island, there needs to be room for a dishwasher on either side. If it’s the stove, they’ll need either a top mount or down-draft vent. The amount of food preparation influences the amount of storage needed. What and how many utensils need to be nearby and easily accessed? A number of factors determine countertop height - starting with seating and what types of bar stools are desired. Is this a place to snack, or will it replace the kitchen or dining room table? Do they prefer one or multiple countertop heights? Since kitchens are not static, traffic flow needs to be adequate. Architect Thomas Ahmann suggests three feet on either end and at least 42 inches on the working sides. Another consideration is passage when cabinet or appliance doors are open. How should it be lit? Pendant lighting is popular but some feel pendants interfere with the view. If the island has a stove, anything suspended above the island becomes harder to keep clean. Canned lighting keeps head space free, but doesn’t add warmth. A combination of both brightens the area for food preparation and dims to create atmosphere. It is utilitarian or a show piece? As kitchens evolve and walls come down to merge them with dining and family rooms, overall appearance make a difference. Finally, the size of the island may be limited by the material is used for the countertop. Natural materials like marble, granite, or soapstone limit the length and width. Engineered quartz overcomes this limitation but most agree the island shouldn’t be wider than ones reach for clean up. Also, too big and it becomes a place where things collect. Lifestyle determines what the kitchen island needs to accomplish. We’ll cover more ideas to create the best fit for individual kitchens.